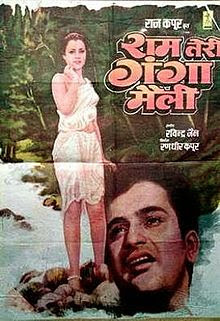 Plot/Summary Information: Ram Teri Ganga Maili is a 1985 Bollywood film directed by actor-director Raj Kapoor. The movie stars Mandakini and Rajiv Kapoor, son of Raj Kapoor. It was Raj Kapoor's last film.